Many universities are offering brewing programs today, but a discovery at The College of William & Mary in Williamsburg, VA, predates them all—by a few centuries. While working on widening a sidewalk outside the Wren Building, the oldest college building in America, 18th century remains of an on-campus brewery were unearthed. According to the Associated Press, the brewery site includes a fire pit in the middle of the building’s outline, which would have been use to boil water in a kettle, and archaeologists also found a faucet, which would have served as a tap. 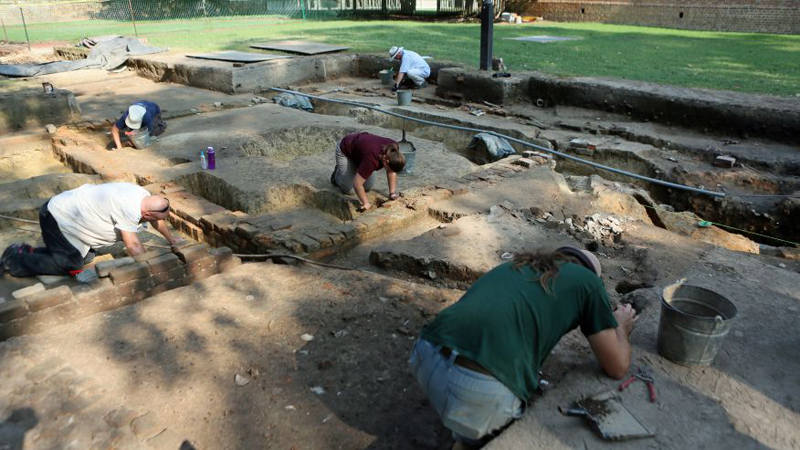 Archaeologists believe the brewery was likely built in the 1720s and would have served a few dozen students and faculty. The college has a history of beer—records have shown that slaves from a nearby plantation sold the school hops—but until now the location of the Colonial-era brewery was unclear.